As a graduate student, the primary focus is typically on research. Some graduate students may teach a few courses, but typically the message is clear: Research comes first. The lack of training in teaching while in graduate school has left some newly minted professors ill-equipped to teach undergraduates (Gaff, 2002). When entering academia as an assistant professor, regardless of whether you are at an R1 university, a private liberal arts college, a community college, or employed at an institution somewhere in between, as a faculty member, you will be evaluated on three dimensions: teaching, research, and service. Pre-tenure careers can be stressful (Lang, 2005; Thorsen, 1996), and the stress can subsequently be an impetus to leaving academia (Barnes, Agago, & Coombs, 1998). Balancing the demands of teaching, service, and finding the time to build a research agenda, is a daunting task (Bazeley, 2003). So how do you survive and thrive during your first years as an assistant professor when you have to make a mark in each of these three categories? Below are tips for successfully managing your role as a scholar, teacher, and service provider, extending beyond those offered previously (e.g., McCormick & Barnes, 2008; Powers, 2004; Rosser, 2003). Before providing tips about research, teaching, and service, it is important to note that different institutions weigh these categories differently. It is imperative to understand the institutions’ expectation of faculty, and in particular, how they will evaluate their junior faculty for tenure and promotion. This will help assistant professors know how to best allocate time and resources among these three dimensions. One way to learn what is valued at your university is to find a more senior mentor. Beans(1999) suggests finding another faculty member outside of one’s program in order to reduce possible feelings of inadequacy (i.e., relating information about teaching concerns can lead to social comparison with peers). A mentor can help new faculty learn the culture of the institution (Gazza, 2004), and this relationship can lead to unexpected mutual benefits. For example, meeting with more senior faculty outside of the university setting (e.g., coffee shop or restaurant) can provide an informal space to bounce ideas, create collaborative ties, find social support, and learn the values and norms of the university. A second method to acclimatize oneself to the organizational culture is through participation in faculty development programs. Most colleges and universities offer ongoing workshops or programs to further strengthen faculty abilities (e.g., grant writing, mentorship training). While attending these workshops can sometimes feel unnecessary and a bit like remedial education, some workshops provide useful tips and opportunities to meet with faculty outside the department (and typically they have donuts!). While attending these meetings, keep an open mind, and keep a list of resources that are offered by the university for your students. Having a list of resources for your students (e.g., writing or disability centers) will provide you with a quick reference sheet of where to send students who may need additional help. Some colleges and universities may not highlight or explicitly prescribe research for faculty, however, research productivity is most likely a portion of the tenure decision. Concerns regarding time to conduct and prepare research reports are a commonly reported stressor for new faculty (Thorsen, 1996). In general, the rule of thumb is to have at least one research project currently running, one manuscript in preparation, and one manuscript under review at all times. Running multiple projects concurrently can also help to keep your research line flourishing in case there are setbacks on any one project. Given the time and resource demands on maintaining a research program, it is advisable to start a lab and to find collaborators shortly after arriving, or even prior to arrival at your institution. In the below sections, we provide tips for starting and maintaining a productive research laboratory as well as finding and growing collaborative relationships. Research laboratories. A research laboratory is beneficial to both yourself (i.e., others helping to conduct your research) and the students in the lab (i.e., gain experience, potential recommendation letter writer). The first step in constructing a lab is to find qualified research assistants. Depending on your institution (i.e., whether or not doctoral degrees offered), you will need to select undergraduate and graduate students who are highly motivated to conduct research. Selecting first-year and second-year students may be preferable because it may allow you to retain students for a longer period of time in your research lab. Typically, it takes a year to train a student, thus giving you additional semesters with highly trained students if they remain in the lab. The longer time in the lab also allows the students to build their own research portfolio and to become knowledgeable about an area of the field. Selecting reliable, motivated, and cognizant assistants can be difficult. Recruitment can take the form of explicit solicitations in relevant courses (e.g., research methods, statistics) or by flyers posted in the department. In our labs, we require students to complete an application and interview with us. Interviews serve to select students who are motivated to conduct research, and provide the faculty member with information to help make better student-task fit decisions. Furthermore, Reysen asks his applicants to write a short review (2-3 pages) of a theoretical article, which provides him with an idea of their ability to think critically and write in an academic voice. It has been our experience that grade point average has not been a reliable predictor of success in research laboratories. The best predictor is whether the students are motivated to gain research experience in the laboratory. The next step in constructing a research lab is to create a flexible hierarchy. If one is at an institution with graduate students, then in general, the faculty member’s role is to work closely with graduate students, and to have the graduate students mentor the undergraduate students. If the faculty member does not have a graduate student, it is advisable to find a motivated undergraduate research assistant to serve as a lab coordinator who can help to train and mentor new research assistants. Collaboration. You will find that your research may complement others within your university or elsewhere. Joining collaborative teams within and between disciplines is advantageous for the diversity of opinions, and sharing the work involved in the research process. After leaving graduate school for your first job, you are more than likely still collaborating on projects with your PhD advisor, and these projects are the first place to start with keeping collaborative projects going. A second source is your colleagues from your PhD program, with conference attendence affording additional opportunities to meet and start collaborative projects with others. Collaborating across disciplines has advantages and disadvantages. While working with others from diverse academic backgrounds can inform theory and research, others outside of psychology may not be as familiar with understanding and interpreting statistics and writing in psychology. To minimize issues that may arise from collaboration, communication is key. We suggest putting collaboration plans in writing in order to reduce potential ambiguity about collaborators’ contributions to the project or order of authorship. Given the great and plentiful resources for preparing oneself for teaching (e.g., Svincki & McKeachie, 2010), including previous Teaching Tips articles (e.g., Nevid, 2011), we will focus on the importance of feedback when teaching new courses. Teaching evaluations. While you hope for students to maximize their learning of the course content through in-class-participation and diligence in studying outside of class, the courses you teach provide learning opportunities for you, as well. End of the semester student evaluations provide feedback about aspects that the students liked or disliked about the course, and these evaluations can help you to revise the course for when you teach it in the future. When teaching a new course, it is advisable to not wait until the end of the semester to ask for feedback. Instead, periodic feedback from students regarding methods of instruction or course assignments can help you to modify your teaching approach to best meet the learning needs of your students. Boice (1992) discusses a variety of ways to ask for student feedback, including weekly evaluations and anonymous feedback via the Internet. In addition to student feedback, new faculty may also consider asking a colleague to evaluate their teaching by observing them in class. Some schools require this as part of the tenure evaluation as a means of measuring teaching effectiveness. A colleague can provide insight into the elements of the class that seem to resonate well with the students, and provide suggestions for other activities that may be appropriate for the class. The peer-evaluation process may also help to foster a mentor-mentee relationship when it comes to the teaching domain. Furthermore, we recommend strategies such as attending another faculty member’s class, or co-teaching a course, which would provide opportunities to observe different teaching styles. Every institution requires faculty members to be involved in service. The types of service vary, with on-campus service involving serving on departmental, college, or university committees, or service can occur outside of the institution, such as at a local community center or as an officer of a national organization. Depending on the institution, the amount of service that a faculty member is expected to participate in may vary considerably. However, there are three general service tips that we feel are essential for service at any institution. Good citizen. First, be a good departmental citizen and university employee. Not only should you be a productive member of the committees to which you are appointed, but you should also serve your institution. This includes representing your department at university functions (e.g., institution-sponsored-research symposiums) and being a participant in your department’s events (e.g., speaker series, student defenses). These activities will help you to feel connected to your institution and also provide excellent networking opportunities. As a word of caution, when starting out, it is best to restrict your service obligations to the department level and gradually expand your service commitments over the years (McCormick & Barnes, 2008). In other words, if you have the opportunity to volunteer for a university level committee, it is best to wait until you have your courses established and your research program running. The opportunity to serve at different levels will most likely still be available in the future! Declining service requests. Second, and related to the advice above, you have to determine when to say “no” to service requests. As Park (1996) points out, saying no is not always easy, and there are often reasons why you would want to be involved in a service activity, as well as times when you may be appointed to a position, and have no option but to serve. Powers (2004) notes that faculty members have to learn when to deny a service request, and he recommends finding service activities that they will enjoy. To this end, when someone requests that you volunteer to serve on a committee, if it is possible to say no, you can politely tell them that you would like to, but you have a number of other service obligations, and then identify to the requester specific instances of your service activities. Murphy (2007) notes that time spent engaging in service at the expense of putting time into your research program can result in the denial of promotion or tenure. In sum, service is expected as a faculty member, but you must determine how much service you need to be involved in and learn to limit these activities if you go beyond that expectation. In addition to encountering the difficult issue of declining service requests, there will also be instances when individuals at your institution have different opinions, and you may be asked to take a side (Phillips, Gouran, Kuehn, & Wood, 1994), or even to volunteer to represent a particular side. As a new faculty member, it is best to listen to all sides in these institutional political debates and delay siding with any one group until you have a fuller understanding of which side you believe is “right,” or impacts your career. In effect, stay neutral until you feel you have the whole picture, and it is generally best to decline requests to argue for a particular side when there are political debates. Documentation. Finally, it is important to document your service activities. Keep a list of committees you serve on annually, and note all types of service activities. Being organized and documenting service to the institution and professional development activities in your faculty portfolio will help you be prepared for faculty evaluations when they arise (e.g., annual, mid-tenure, and tenure-review). While the above information is often given by mentors to graduate students before leaving school to begin a career in academia (e.g., McCormick & Barnes, 2008; Powers, 2004, Rosser, 2003), tenure-track faculty face additional challenges. Some of these may include technology in the classroom, global citizenship education, and academic entitlement. Technology. Students are increasingly using cell phones, laptops, and tablets in class. Laptop use in class can benefit students if integrated into classroom activities (e.g., immediate response to questions posed in lecture), but may also be detrimental by affecting students’ ability to pay attention to lectures, and is related to lower test scores (Fried, 2008). Allowing cell phones in the classroom can prove to be equally distracting. In general, unless you thoughtfully incorporate technology into class lectures and activities, students become distracted by its use. As technology use continues to grow, more students are electing to take classes online. Research predicts that almost 90% of students will take at least one class online during their time in college (Allen & Seaman, 2010). A wealth of research has suggested that there is little difference with respect to learning outcomes when comparing online to face-to-face classes (see Russell, 1999), but methodological concerns (e.g., self-selection) warrant caution when interpreting this conclusion (Institute for Higher Education Policy, 1999). Faculty are now expected to learn and effectively teach using new online programs (e.g., moodle, eCollege, Blackboard). In general, the best advice is to clearly lay out the course; redundant information presented in online courses can backfire and result in lower student learning (Lyons, Reysen, & Pierce, in press). Global citizenship education. Globalization and the world’s increasing interconnectedness have led universities to begin to encourage global citizenship education (Sperandio, Grudzinski-Hall, & Stewart-Gambino, 2010). While this may appear to be specific to certain classes or disciplines, the call for greater integration and incorporation of global awareness in all aspects of a faculty member’s job (teaching, research, service) is a growing trend in the U.S. (see Arcaro & Haskell, 2009). In a recent report on the internationalization of U.S. higher learning institutions (Green, Luu, & Burris, 2008), researchers found that 45% of the 2,000 institutions examined explicitly state global student learning outcomes. Universities have various motivations to include more global education in their institutions, such as: (1) preparing students for an international work context, (2) preparing students to solve global problems, and (3) promoting international values characterized by global citizens (Fielden, 2006). Similarly, the strategies to internationalize universities include a variety of methods, such as: (1) more diverse student recruitment, (2) exchange programs for faculty and students, (3) research and teaching collaboration, and (4) infusing curriculum with global aspects (Maringe, 2010). Theorists have long claimed that global citizenship education benefits students entering the globalized world (see Hicks, 2003). Recent research has shown a consistent relationship between identifying the self as a global citizen and greater endorsement of intergroup empathy, diversity, social justice, environmental sustainability, intergroup helping, and felt responsibility to make the world a better place for everyone (Reysen et al., 2011). A classroom environment that puts value on being a global citizen and increases students’ awareness of global interconnectedness predicts both greater global citizenship identification (Reysen & Katzarska-Miller, 2011) and academic motivation, even more so than the degree to which one feels connected to the university (Snider, Reysen, & Katzarska-Miller, in press). Education theorists (see Hicks, 2003; Sperandio et al., 2010) and recent research (Reysen et al., 2011) converge on the notion that global education is beneficial for students. As this is a growing trend in the U.S., new faculty may be encouraged, if not expected, to incorporate global education into their curriculum. There are a few steps that faculty can take to achieve this. First, begin to question the individualistic or innate explanations of phenomenon that are often touted in mainstream psychology (see Turner, 2006). Second, promote greater student awareness of the dynamic cultural settings in which phenomenon are studied (see Adams & Markus, 2004). Third, incorporate non-western sources into lectures and class materials. Additionally, faculty can become involved in service learning projects (Greenberg, 2008) and study abroad (Lewin, 2009) that incorporate elements of global citizenship education. In general, promoting global citizenship identity by affording students an environment that engenders global awareness can prepare students for the interconnected world. Academic entitlement. The recent debate among teachers suggests that students embedded in U.S. settings are increasingly entering college with a perception that they ought to obtain good grades with little effort (Twenge & Campbell, 2009). The growing body of literature concerning academic entitlement (e.g., Kopp, Zinn, Finney, & Jurich, 2011) suggests that this construct is related to undesirable academic behaviors (Chowning & Campbell, 2009), such as academic dishonesty (Greenberger, Lessard, Chen, & Farruggia, 2008). While research regarding how to reduce academic entitlement is currently being conducted, anecdotal evidence suggests that incorporating real world applications of the class materials may encourage intrinsic motivation to learn, and thus reduce entitlement (Roosevelt, 2009). Balancing research, teaching, and service can be challenging. Overall, the best advice is to do research, service, and teaching on topics that complement one another. For example, conduct research on service activities in which you are heavily involved, or conduct research on the process of teaching. Finding the common threads between the three areas of faculty responsibility can aid in balancing the duties, and enhance your teaching and research performance. The main thing to remember, though, is to enjoy your job. You will only get to be a first year professor once, so make the most of it, and think of the first few years as an incredible learning experience. Adams, G., & Markus, H. R. (2004). Toward a conception of culture suitable for a social psychology of culture. In M. Schaller & C. S. Crandall (Eds. ), The psychological foundations of culture (pp. 335-360). Mahwah, NJ: Lawrence Erlbaum Associates. Allen, I. E., & Seaman, J. (2010). Class differences: Online education in the United States, 2010. Babson Park, MA: Babson Survey Research Group. Arcaro, T., & Haskell, R. (Eds.). (2009). Understanding the global experience: Becoming a responsible world citizen. New York: Allyn & Bacon. Barnes, L. L. B., Agago, M. O., & Coombs, W. T. (1998). Effects of job-related stress on faculty intention to leave academia. Research in Higher Education, 39, 457-469. Bazeley, P. (2003). Defining ‘early career’ in research. Higher Education, 45, 257-279. Beans, B. E. (1999). Mentoring program helps young faculty feel at home. 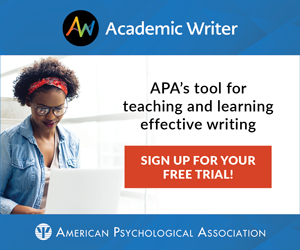 APA Monitor Online, 30. Boice, R. (1992). The new faculty member. San Francisco, CA: Jossey-Bass Publishers. Chowning, K., & Campbell, N. J. (2009). Development and validation of a measure of academic entitlement: Individual differences in students’ externalized responsibility and entitled expectations. Journal of Educational Psychology, 101, 982-997. Fielden, J. (2006, January). Internationalization and leadership: What are the issues? Paper presented at the Leadership and Development Challenges of Globalisation and Internationalisation Summit, London, UK. Fried, C. B. (2008). In-class laptop use and its effects on student learning. Computers & Education, 50, 906-914. Gaff, J. G. (2002). The disconnect between graduate education and faculty realities. Liberal Education, 88, 6-13. Gazza, E. A. (2004). Establishing a supportive culture through mentorship. Phi Kappa Phi Forum, 84, 47-48. Green, M. F., Luu, D., & Burris, B. (2008). Mapping internationalization on US campuses: 2008 edition. Washington, DC: American Council on Education. Greenberg, D. J. (2008). Teaching global citizenship, social change, and economic development in a history course: A course model in Latin American travel/service learning. The History Teacher, 41, 283-304. Greenberger, E., Lessard, J., Chen, C., & Farruggia, S. P. (2008). Self-entitled college students: Contributions of personality, parenting, and motivational factors. Journal of Youth and Adolescence, 37, 1193-1204. Hicks, D. (2003). Thirty years of global education: A reminder of key principles and precedents. Educational Review, 55, 265-275. Institute for Higher Education Policy (1999). What’s the difference: A review of contemporary research on the effectiveness of distance learning in higher education. Washington, DC: Author. Kopp, J. P., Zinn, T. E., Finney, S. J., & Jurich, D. P. (2011). The development and evaluation of the academic entitlement questionnaire. Measurement and Evaluation in Counseling and Development, 44, 105-129. Lang, J. M. (2005). Life on the tenure track: Lessons from the first year. Baltimore, MD: The Johns Hopkins University Press. Lewin, R. (2009). The quest for global citizenship through study abroad. In R. Lewin (Ed. ), The handbook of practice and research in study abroad: Higher education and the quest for global citizenship (pp. xiii-xxii). New York: Routledge. Lyons, A., Reysen, S., & Pierce, L. (in press). Video lecture format, student technological efficacy, and social presence in online courses. Computers in Human Behavior. Maringe, F. (2010). The meanings of globalization and internationalization in HE: Findings from a world survey. In F. Maringe & N. Foskett (Eds. ), Globalization and internationalization in higher education: Theoretical, strategic and management perspectives (pp. 17-34). London: Continuum International Publishing. McCormick, C. B., & Barnes, B. J. (2008). Getting started in academia: A guide for educational psychologists. Educational Psychology Review, 20, 5-18. Murphy, L. (2007). At your service. Chronicle of Higher Education, 53, C3. Park, S. M. (1996). Research, teaching, and service: Why shouldn’t women’s work count? Journal of Higher Education, 67, 46-84. Phillips, G. M., Gouran, D. S., Kuehn, S. A., & Wood, J. T. (1994). Survival in the academy: A guide for beginning academics. Cresskill, NJ: Hampton Press. Powers, D. (2004). Jobs, life, and tenure at a “teaching college.” Behavior Therapist, 27, 144-147. Reysen, S., & Katzarska-Miller, I. (2011). A model of global citizenship: Antecedents and outcomes. Manuscript in preparation. Reysen, S., Katzarska-Miller, I., Pierce, L., Blake, M., Snider, J., Spencer, C., Saladino, N., Jenkins, S., & Lloyd, J. (2011, April). Why is my university promoting global education? Paper presented at the 3rd annual Texas A&M University-Commerce Research Symposium, Commerce, TX. Roosevelt, M. (2009, February 19). Student expectations seen as causing grade disputes. The New York Times, p. A15. Rosser, V. J. (2003). Preparing and socializing new faculty members. Review of Higher Education, 26, 387-395. Russell, T. L. (1999). The no significant difference phenomenon: As reported in 355 research reports, summaries and papers. Chapel Hill, NC: Office of Instructional Telecommunications, North Carolina University. Snider, J. S., Reysen, S., & Katzarska-Miller, I. (in press). How we frame the message of globalization matters. Journal of Applied Social Psychology. Sperandio, J., Grudzinski-Hall, M., & Stewart-Gambino, H. (2010). Developing an undergraduate global citizenship program: Challenges of definition and assessment. International Journal of Teaching and Learning in Higher Education, 22, 12-22. Svinicki, M., & McKeachie, W. J. (2010). McKeachie’s teaching tips: Strategies, research, and theory for college and university teachers (13th ed.). Belmont, CA: Wadsworth. Thorsen, E. J. (1996). Stress in academe: What bothers professors? Higher Education, 31, 471-489. Turner, J. C. (2006). Commentary. Tyranny, freedom and social structure: Escaping our theoretical prisons. British Journal of Social Psychology, 45, 41-46. Twenge, J. M., & Campbell, W. K. (2009). The narcissism epidemic: Living in the age of entitlement. New York: Simon & Schuster. Stephen Reysen, Texas A&M University–Commerce, earned his PhD from the University of Kansas in 2009. His research interests include global citizenship, fanship and fandom, threats to personal identity, and collective emotions. He teaches undergraduate- and graduate-level courses in social psychology. Lacy E. Krueger, Texas A&M University–Commerce, received her PhD from the University of Virginia in 2009. Her research interests include metamemory and individual differences in learning. She teaches undergraduate- and graduate-level courses in developmental and cognitive psychology.